STORY: People say it's not the destination that matters, it's the actual journey. True! 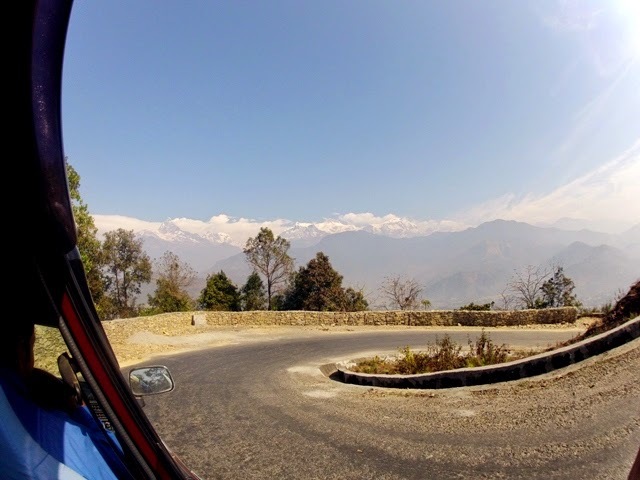 The road up and down Sarangkot of Kaski District Gandaki Zone just above Pokhara in Nepal summed up all my expectations of what an epic journey should be. After one unforgettable sunrise beaming over the Annapurna range, it's time for me to go back to the city with yet, one unforgettable ride. I met a Spanish traveler who drove up a few hours ahead to catch the sunrise, and managed a deal with a taxi driver going back to Pokhara. Needless to say, my PR skills worked, and a few minutes later, i found myself riding at the back of a dilapidated Russian vehicle. I got a ride for free. With all windows down, my excitement grew as we started our initial descent from a 1,592 meter elevation which is that of the Shiva temple. The early morning breeze was enough to make me chill as i slide from corner to corner as the car zig-zagged from left to right. It's one of those rare instances where i felt i shouldn't be doing this, but glad that i actually did. And a cigarette break after would be perfectly excused. I couldn't imagine myself riding up in this highway in the wee hours of the morning because there are no post lamps to guide drivers. Good thing i stayed at the view point for one night. But what i felt that morning during the ride was unexplained. I think it's the sudden gush of adrenaline for a ride like this can be called only one thing...epic. 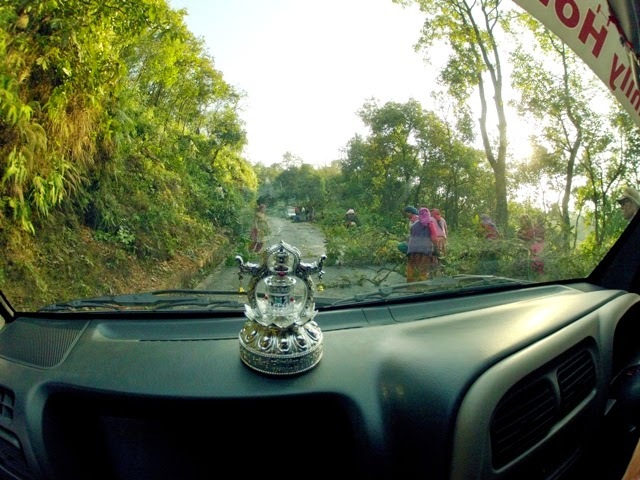 Because the driver seemed like he was on a epic race as well, we arrived in main Pokhara in less than an hour. I said goodbye to my new found Spanish compañero, the amazing race car driver and the blessed dilapidated car. 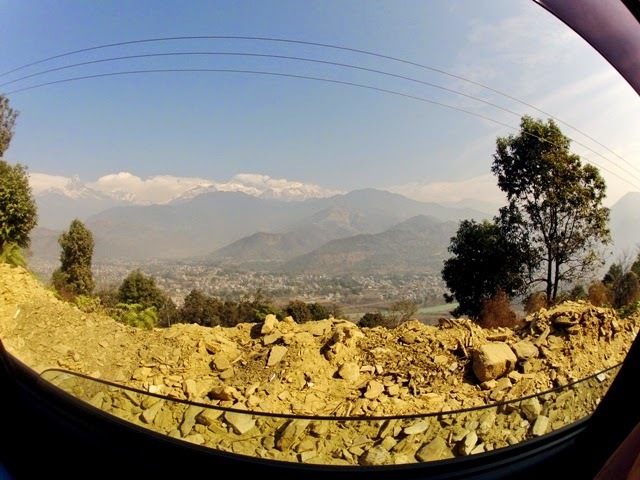 All is awesome and safe here in Sarangkot! TIPS: It would be wise to share a taxi up and down the view point. Expect to pay anything from 700-1500 NPR. Those who are more physically active can hike for an hour and of course, it's free, but my estimates show more likely you'll need 2 hours. Alternatively, you can catch a local bus which plies with no schedule at all. Get a local sim card to coordinate with your driver. RECOMMENDATIONS: There are dozens of cars traveling en route to catch the sunrise at the view point, passing this highway, so it's doable. However, the road condition and absence of light at night can be dangerous. It's highly recommended to travel to the view point in the afternoon to catch sunset and stay overnight. You may leave early in the morning after the sunrise.